No-one was more surprised than Past President Stewart Borland when, at the Rotary Club of Bangor’s Christmas Dinner, on 16 December, President Robin Mussen presented Stewart with a Paul Harris Award. President Robin described Stewart as a hardworking and loyal Rotarian who, despite his long service for the Rotary movement, remained dedicated to the ‘service above self’ philosophy. 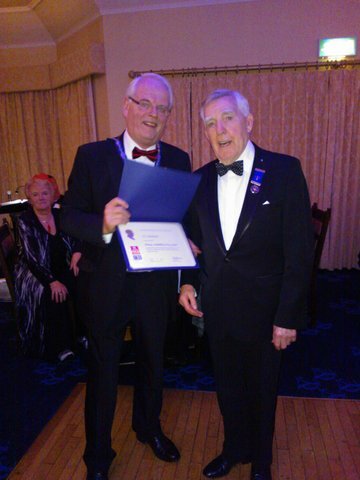 Congratulations to Stewart from all Bangor Rotarians.